Ask most vinyl enthusiasts the best place in the world to pick up second hand records and it won’t be long before Tokyo enters the conversation. When I was asked to DJ in Tokyo recently I was determined to make the most of it so spent two full days visiting as many stores as I could. Day one was mostly spent in Shimokitazawa – a laid back part of Tokyo with an easygoing ‘neighbourhood’ feel. 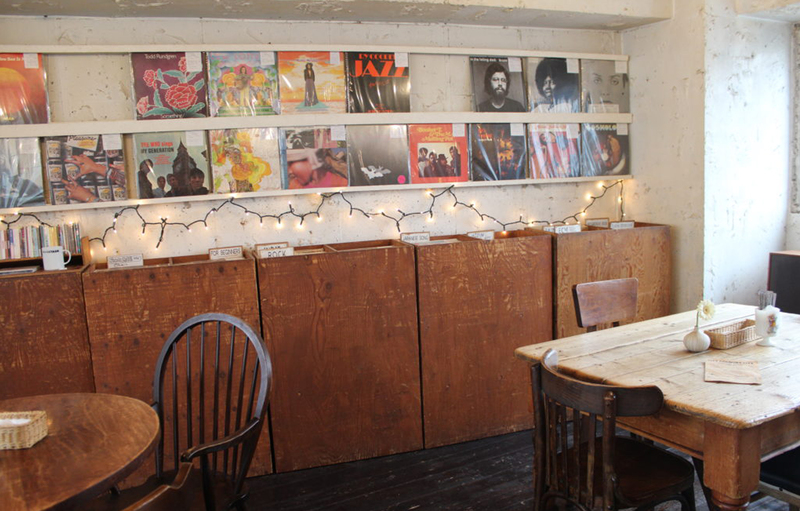 One highlight there was City Country City, which, along with having an expertly curated selection of second hand vinyl, doubles as a café. My other favourite in Shimokitazawa was Weekend Records. The shop’s owner used to live in NYC so disco, house, hip hop and other US styles are well represented. But dig deeper and you can also unearth some lovely world music, a killer Italo disco section, and a load of obscure Japanese oddities. That evening it was time to switch from DJ/record nerd mode into Music Concierge mode as I’d promised the iconic Park Hyatt Tokyo that I would pay them a visit while I was in town. It was great to be able to pay the hotel a visit as I would soon be designing their playlists. It’s always incredibly valuable as a music consultant to be able to experience a property, understanding the various spaces and the interior design and guest journey. 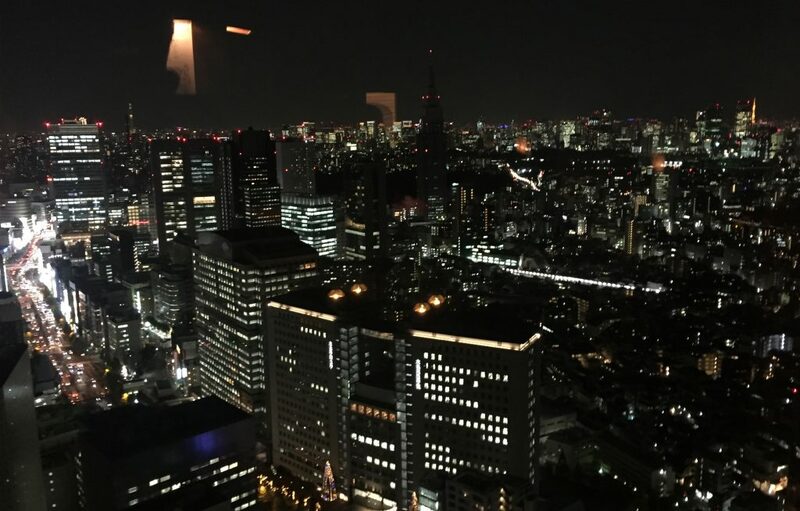 I met with some of the team there and enjoyed the stunning views over Shinjuku before paying a visit to the hotel’s legendary New York Bar & Grill (as seen in the film ‘Lost In Translation’) for a Wagyu beef burger washed down with a cold beer. On day two I headed to Shibuya – a super busy retail area and home to perhaps the busiest pedestrian crossing on earth. 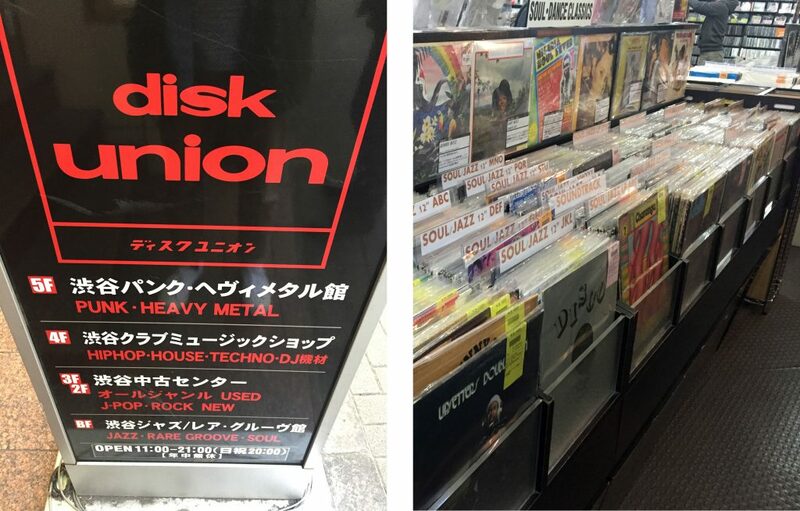 Whenever I visit Tokyo I always make sure I visit the Disk Union shop there. Part of a large national chain of second hand record stores (there are around 10 outlets in Tokyo alone), the Shibuya outlet has five floors, each dedicated to a different group of genres and each about the size of your average London record shop on its own. I did some serious damage to my credit card there, with perhaps my favourite acquisition being this racy artwork featuring a slice of late 70s mid-tempo disco sleaze. Perhaps surprisingly, another great spot to visit in Shibuya is HMV. From the outside it doesn’t look too dissimilar to the HMV stores in the UK but head up a couple of flights of stairs and you’re presented with a massive selection of vintage LPs, 12 inches and 45s. 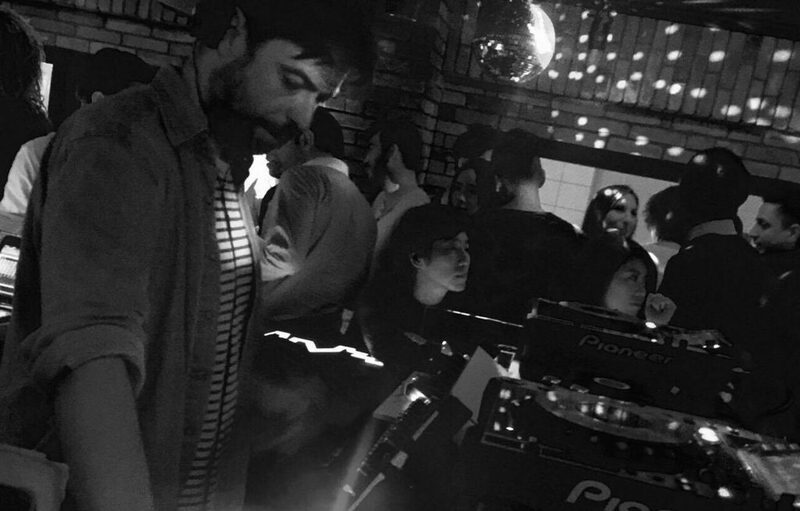 That evening it was time for my DJ gig at London Calling at Bridge in Shibuya. 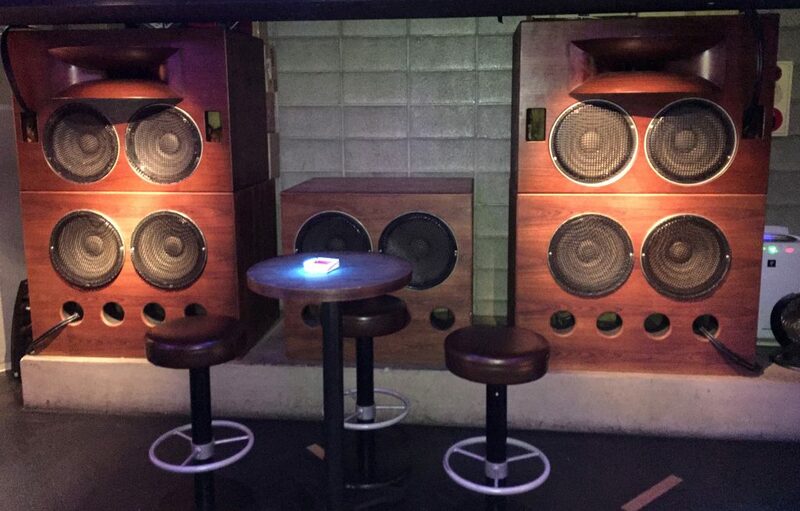 Bridge – a fantastic little club with the biggest soundsystem size to room size ratio I’ve ever seen. Also DJing were Mike, the promoter, and true Japanese club legend DJ Nori. It was a great party and huge fun to play to a really friendly and enthusiastic crowd. Following the party we moved on to an after hours party at a club called Tent where I DJed again. Unfortunately I was having so much fun I forgot to take any photos there. Maybe next time!